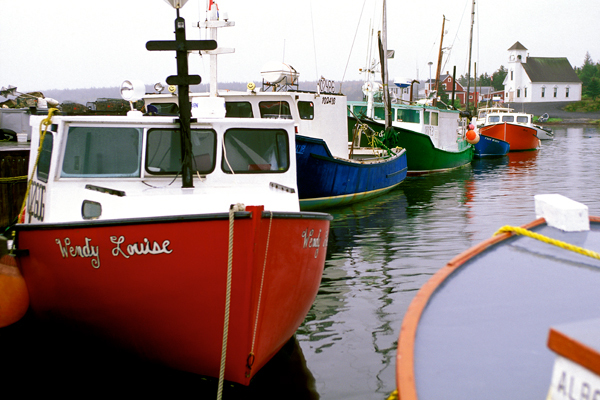 Colorful fishing boats are lined up at the dock in this rural scene taken in Nova Scotia. The Church was the finishing touch to my composition on this dreary day.The one thing that still sticks in my mind is how friendly everyone was in Nova Scotia.I stopped a few places to shoot photos and folks who lived there would offer me the chance to roam around their property to get more shots.Some had little coves with boats and it was a very unique experience. 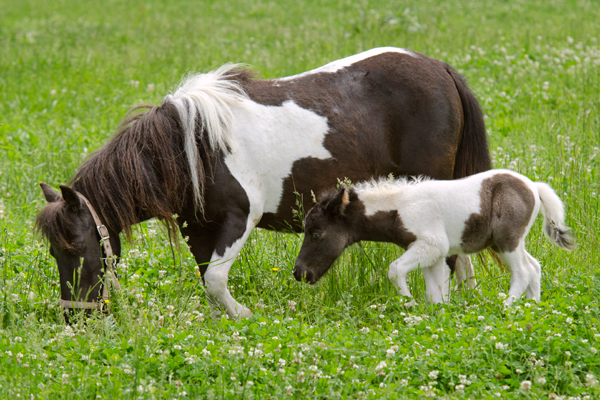 This little guy is barely two feet tall and seems to be mimicking his mothers movements.Put a tiny saddle on him and find a monkey as a jockey and he could possibly win the triple crown for cuteness. Don’t let his small size fool you ,he is a little stick of dynamite just ready to explode across the pasture. Once again I was lucky enough to hear about the E-M-F car club taking a road trip through my area. 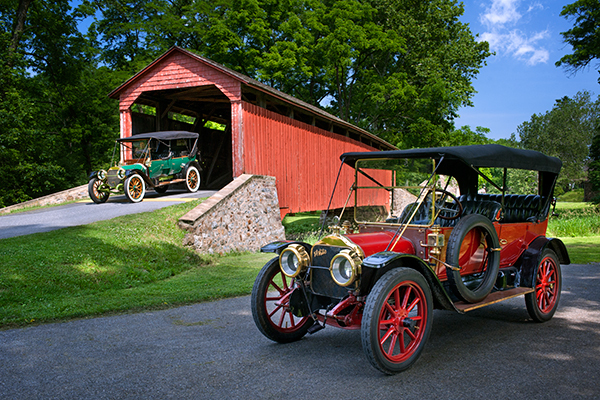 One of their stops included this location which includes a covered bridge and I was lucky enough to get this image featuring the red 1911 White parked in the foreground and the green 1909 Locomobile coming through the bridge. 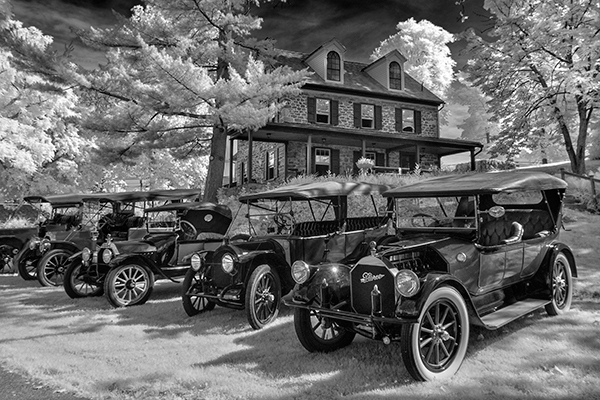 E-M-F vehicles are early 1900s vehicles built by Byron Everitt, William Metzger, and Walter Flanders.These unique vehicles are a treat to look at with all their detail and they harken back to a simpler time. 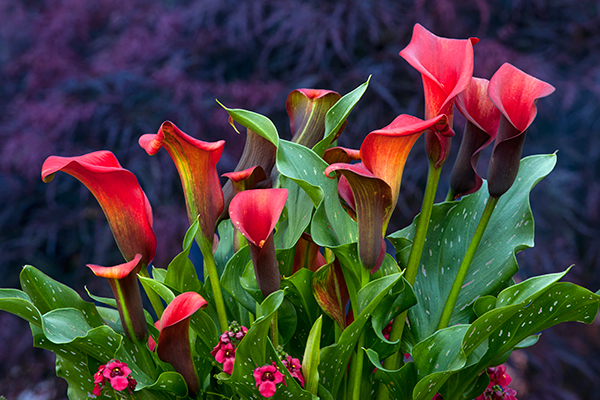 These calla lily blooms are in a planter in front of our house and I shot them near dark one evening. The red maple in the background went a purple hue which I left as is. 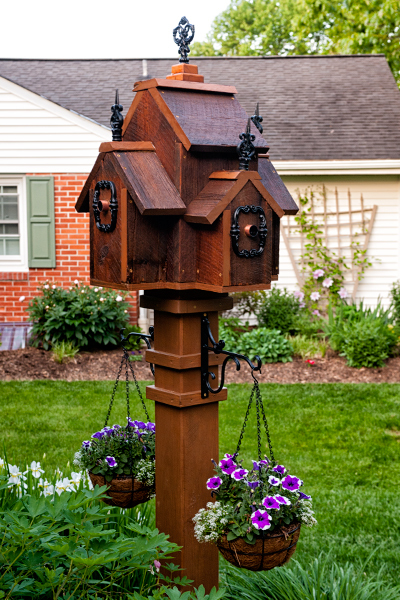 I have been a bit slow on the photo front these days and part of that is trying to keep our property looking good. 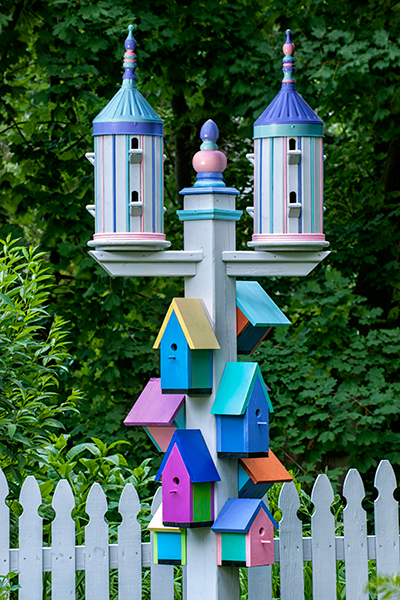 I spent some time building these posts and the birdhouses that are mounted on them.One is a regular little village for our feathered friends,and some birds have been checking it out, and the one with the fancy black finials has no holes for birds to enter and is more decorative than functional and the black decoration around the copper pieces are actually dresser drawer handles that we had laying around.Making a round bird house is more tricky than the basic ones and I used funnels for the roof on those. Not really great photos,but I had fun building them and thought I would share the results. 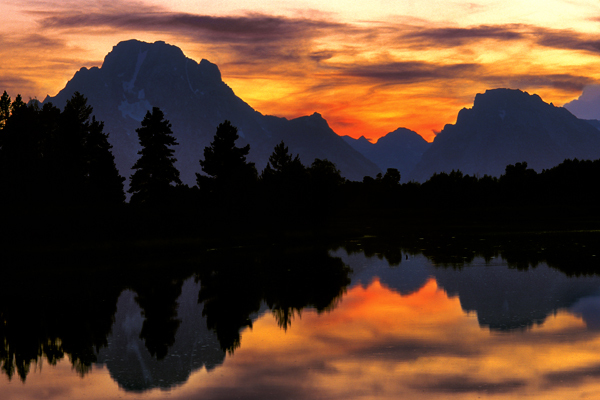 Sunset over Colter Bay in Wyoming features silhouetted trees and majestic mountains.I remember this day well because I left my Gitzo tripod sitting at a parking area and realized the mistake five miles down the road,and was doing over a hundred miles on hour on the highway to get back to it before it was taken. Amazingly enough it was still there.